A forgotten crisis is currently unfolding in Eastern Democratic Republic of Congo (DRC) but Chance for Childhood is taking action now to stop the spread of the deadly Ebola virus. 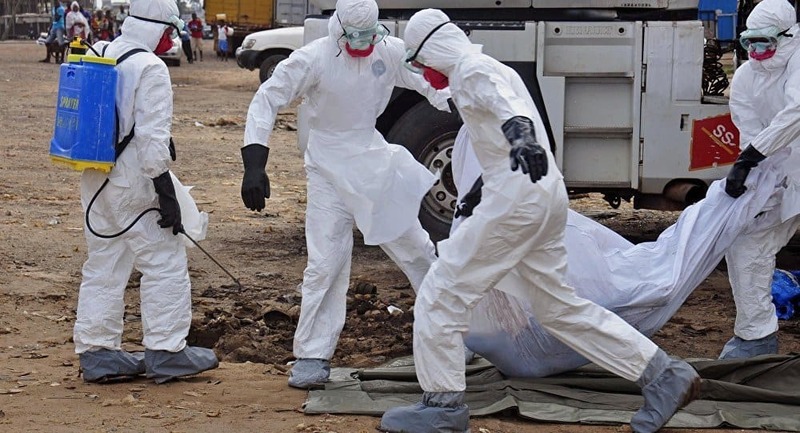 On 1 August, the World Health Organisation (WHO) declared an outbreak of Ebola in the DRC after confirming four new cases in the Mangina area, North Kivu. As of 8 August, 17 cases have been confirmed, with another 27 “probable” cases registered. So far 37 people have sadly died. Hundreds of people who may have come into contact with an infected person have been registered by DRC’s Health ministry. The situation is made even more worrying as North Kivu is an area affected by conflict, with intense insecurity and a worsening humanitarian crisis. Over one million are internally displaced people. This could make fighting Ebola in the region more difficult when time is of the essence to fight this disease. North Kivu is also among the most populated provinces, with 8 million inhabitants. This is the tenth Ebola outbreak officially declared in DRC, already one of the poorest countries in the world. How is Chance for Childhood responding? Chance for Childhood is already in close contact with its local partners, based in Goma, Kibati and Bukavu. Click here to donate to our crisis appeal. You could help ensure that the vulnerable children we support in DRC have access to essential prevention measures against Ebola. Ebola first emerged in the Democratic Republic of Congo in 1976 and it is thought to infect humans through contact with infected animals, including chimpanzees, fruit bats and antelopse. It can then spread among humans via bodily fluids.